Driving across Colorado on I-70 can be a challenge. Here are some tips to make it less painful. With winter weather in full effect and Colorado's ski season underway driving back and forth from Grand Junction to Denver can be extremely difficult. I-70's route through Colorado is an engineering marvel. Compleated in 1992, it reaches a height of 11,158 feet in elevation and cuts right through the mountains at the Eisenhower Tunnel. It's challenging in good weather, toss in some snow and ice, traffic congestion, and a couple of accidents, then I-70 becomes painfully brutal. BE READY- Load up the trunk or the back of the SUV with some supplies. Have a flashlight, battery-powered radio, first-aid kit, snacks, and water. Toss in a bag of rock salt or kitty litter in case you get stuck. Other things like a shovel, blankets, jumper cables, and an ice scraper can come in handy too. UNDERSTAND TRAVEL LAWS- They can be confusing. Know the difference between Traction and Chain Laws. Traction Law (Code 15) During an active Traction Law motorists must have either snow tires, tires with the mud/snow designation, or a four-wheel/all-wheel drive vehicle. All tires must have a minimum one-eighth inch tread. You can also install chains or an alternative traction device to be in compliance with the law if your tires aren't adequate. Passenger Vehicle Chain Law (Code 16) During severe winter storms, CDOT will implement a Passenger Vehicle Chain Law. This is the final safety measure before the highway is closed. Travel is not allowed without chains when this law is in effect. CHECK CURRENT ROAD CONDITIONS- The Colorado Department of Transportation website has all the information you need. It has you covered with real-time updates, an interactive map, live camera feeds, average speeds, construction zone info, and more. 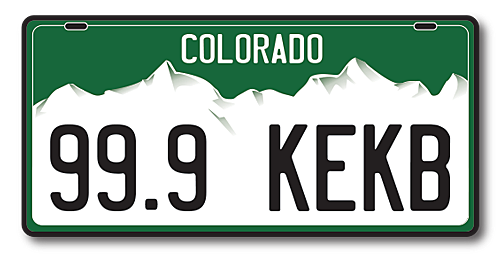 Find the CDOT travel site by clicking HERE. TRY AND STAY OFF DURING PEAK TRAVEL TIMES- Sometimes you must travel at a certain time. If you have any flexibility always try and avoid travel on I-70 during heavy travel times. On Friday evenings and Saturday mornings I-70 is filled with skiers. Check the travel forecast for westbound and eastbound predictions for the weekend on the Go I-70 website. Check it out HERE. Remember too, you can call 511 any time to get the current state of I-70 and Colorado mountain driving conditions.